Original Review could be found here. 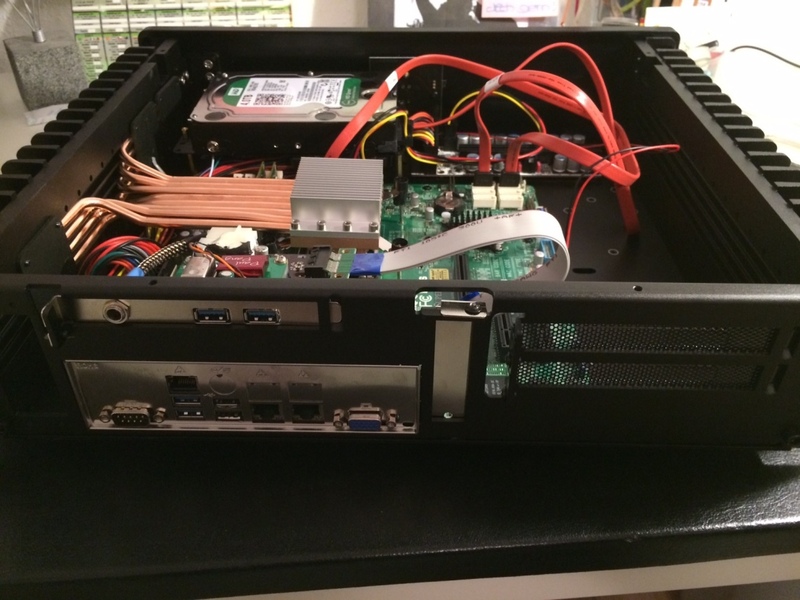 This system contains HDPLEX 2nd Gen H5 fanless HTPC case, Xeon 1265LV3 TDP 45W CPU and Supermicro motherboard. 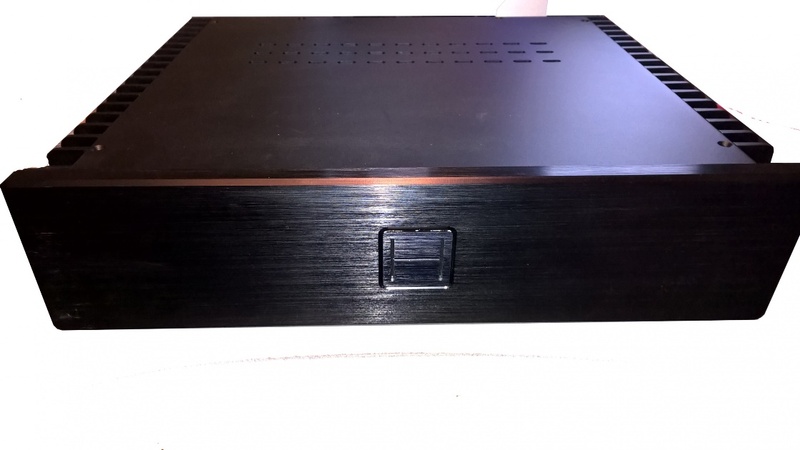 It is powered by HDPLEX 100W Linear Power Supply plus 250W HiFi DC-ATX combo. 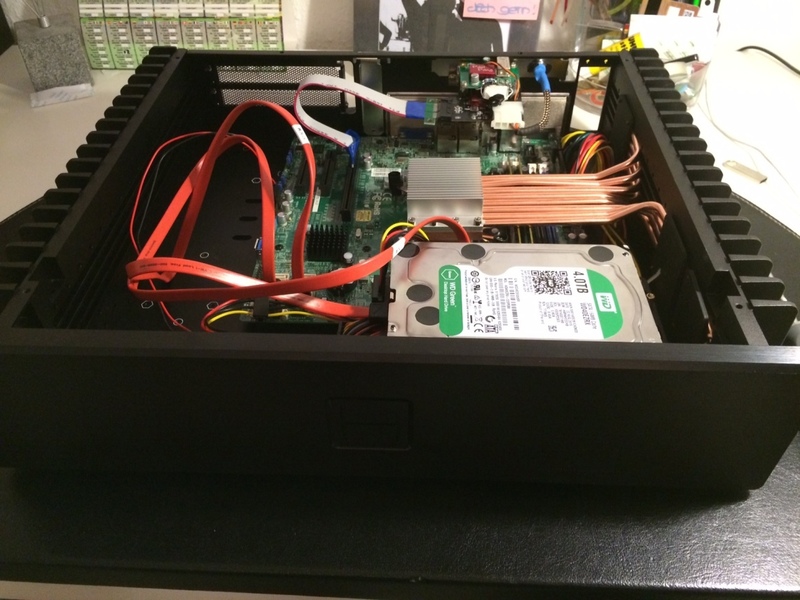 I post here a fully silent HTPC assembled in the just released fantastic Plex H5 gen 2 case. 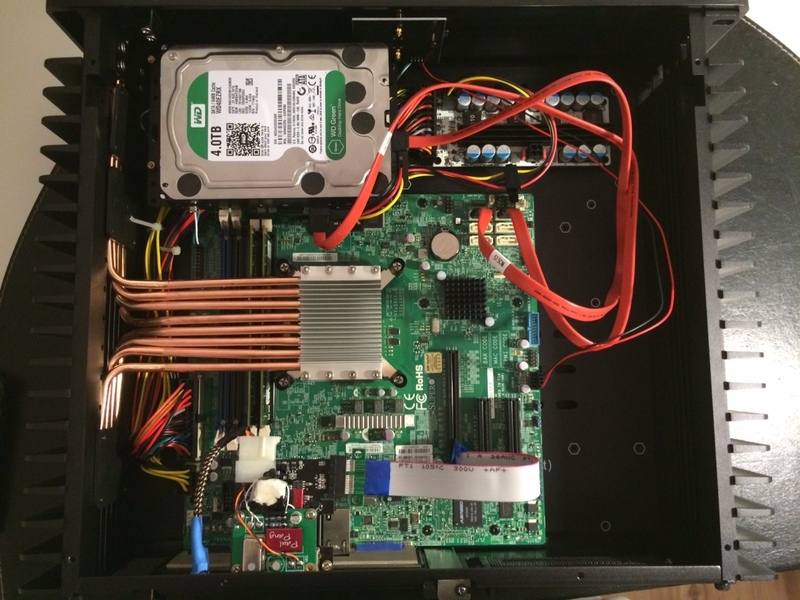 It features: AS Rock Extreme 3 Mobo, 256 GO M.2 Gen 3 SSD, 16Go DDR4 3GHz RAM, i7-6700, ZOTAC GeForce GTX 950 AMP! 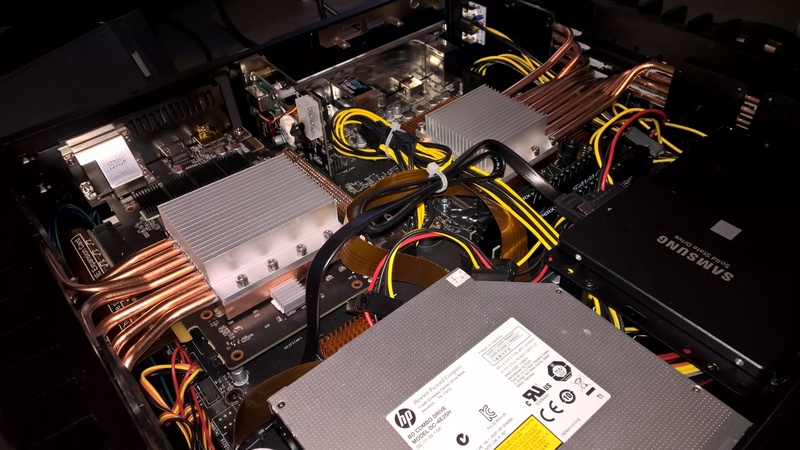 Edition, 100W external linear PSU, USB Audio card V2 from PPA, Win 10 (with AO when it is ready, I might install as a double boot a Win Server 2012 R2JRiver MC21, Roon might come, as of now I find the price tag quite high for a non finished yet software), and a Synology DS1813+. It is dedicated to a 50m2 movie and audio theater room: Sony 4K projector, Request II Martin Logan speakers powered by an YBA power amplifier, YBA pre-amplifier, YBA CD reader, a Rel subwoofer. Center and back speakers are Martin Logan too. As for the DAC, I have a Micromega MYdac, and I am in the process of selecting either the Exasound gear or the Yggdrasil one. I’m in the process of the replacement of the receiver that will be Emotiva XMC-1. The OS is installed on the M2 drive indeed. I haven’t made any test on SSD prior to that, I won’t enter into that kind of debate. The unit is not connected yet, it will take some time before it is done, hopefully during spring. So I’ll have to wait quite a bit to test it. It will be interesting to make A/B tests with my legacy high end CD player and the Goldmund T3. 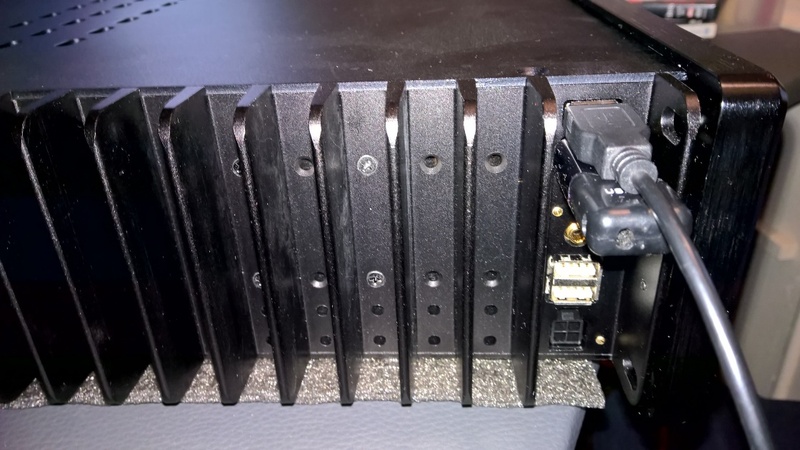 The 100W LPSU HDPLEX Fanless Linear Power Supply for PC Audio and CE device feeds an internal power supply and feeds as well the USB audio card. I could have used the 300W PSU in order to achieve a full linear PSU , this is a higher price tag though, I may go this route in the future. This company makes smaller case, you may have a look. 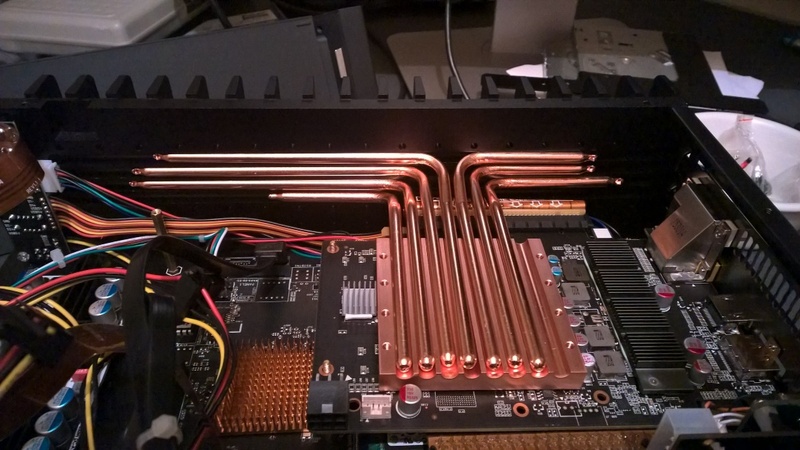 Indeed the 950 is cooled by two fans that have been removed. I did not have the opportunity yet to stress the 950.